These offers are free with the purchase of the Focus Crater Lake Elite (2016) Bicycle. 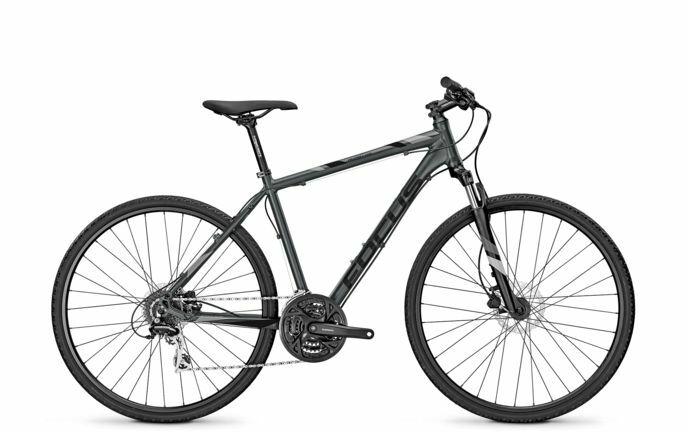 The Focus Crater Lake Elite 2016 is equipped with a Trekking 1.0 alloy frame which is light weight and stable for city roads. The Crater Lake Elite 2016 uses Shimano Altus at the front and rear as derailleurs with ST-EF41 21 speed shifters for quick shifting while zipping through streets. The V-Brakes in this bicycle works smooth and in a safe manner. This bicycle has a suspension fork with 50mm travel for extra comfort for urban ridng. The Crater Lake Elite 2016 runs on Schwalbe Impac 700C tires which are fast rolling. The Price of the Focus Crater Lake Elite (2016) is Rs.31990. If you are looking for a begineeræHybridæbicycle in this price range, the FocusæCrater Lake Elite 2016æis the bicycle for you. 2. In what condition will I get the Focus Crater Lake Elite (2016)? 6. How will I know if Focus Crater Lake Elite (2016) will fit me without riding it? 7. How long will it take for me to receive the Focus Crater Lake Elite (2016)?